Healthcare insurance is not affordable for most, especially to the average citizen. Nitin Chhoda shares the role of The Affordable Care Act and how the average citizens can benefit from its coverage. According to a Sept. 2012 study by The Kaiser Family Foundation, the average premiums for healthcare insurance in 2012 were $5,615 for an individual and $15,745 for family coverage. The actual cost and available insurance and benefits vary widely throughout the U.S. and covered expenses are dependent upon the individual healthcare policy. 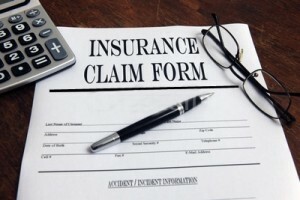 Many people saw passage of The Affordable Care Act as a panacea for all their healthcare insurance and benefits needs. While the act did extend coverage to millions of uninsured individuals, the reality of their medical billing coverage and the cost of being insured came as a surprise to many. Until all aspects of The Affordable Care Act take effect, individuals are still contending with standard healthcare insurance policies that are often limited in scope. They may provide coverage for visits to a physician, hospitalization and rehabilitation services, along with x-rays, lab tests, immunizations and well-child visits. Mental health and substance abuse services, pap tests, and mammograms may also be included. Insurance and benefits policies usually include prescription medications, but not always. A host of services may not be covered, policies can contain provisos and require clients to purchase riders to their basic coverage to receive maternity benefits, cancer treatments, dental care and vision exams. Those services require an additional financial outlay. They’re viewed as optional insurance and benefits coverage rather than part of the overall insurance package. 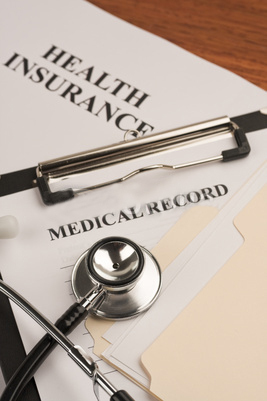 Current healthcare insurance policies often contain monetary caps on services, lifetime benefit limitations, and require pre-approval for an array of tests, procedures and surgeries. For the majority of Americans, healthcare insurance is offered through the workplace. To keep costs low, employers often contract with insurance and benefits companies for policies that offer rudimentary coverage for employees, while passing on a large portion of the cost to employees. Today’s insured are being required to take greater responsibility for their own health and engage in preventative measures in an effort to identify, diagnose and treat potential health problems before they become critical. Along with this is the current trend by the healthcare insurance industry of moving toward requiring clients to purchase individual insurance and benefits from a menu of optional services. The Affordable Care Act will mitigate many of the problems individuals encounter with coverage by traditional policies, but many wonder what the ultimate cost will be to consumers. Higher deductibles, copays and premiums may be looming just over the horizon for many citizens. Healthcare insurance and benefits providers are often limited to selling policies by geographic areas and are only allowed to offer insurance across state lines under a specific set of circumstances. Those boundaries prevent a truly open market for consumers and could contribute significantly to continually rising healthcare costs. After decades of controlling the healthcare insurance and benefits industry, dictating terms, and an era of record profits, healthcare insurance providers are being forced by presidential decree to extend benefits to the majority of Americans, regardless of pre-existing conditions. The Affordable Care Act extends coverage to millions of Americans and provides an array of essential services, but insurance providers aren’t going to give up record profits without a fight, which could lead to even higher healthcare costs for Americans.